In Time for the Big Day! We usually ship on the same working day. 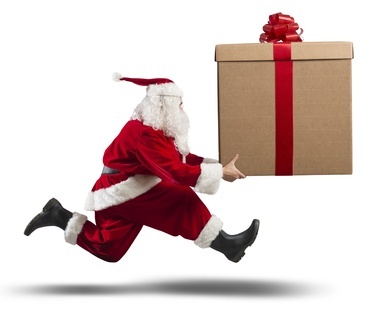 Parcels are delivered in Ireland usually two working days after we ship. The Parcel Service to the UK Takes 3-4 Working Days. Parcels to Europe and North America usually take 6 Days. We only use good Tracked Shipping Services. We pay more for good Couriers. Our Main Parcel Partner is An Post. Please Order as Early in December as you can to guarantee delivery in time for the Big Man with the red suit. Officially An Post are Quoting the following Guaranteed delivery Cut Off Dates for Parcels to arrive before December 24th. We wish you and your family a Wonderful Christmas.